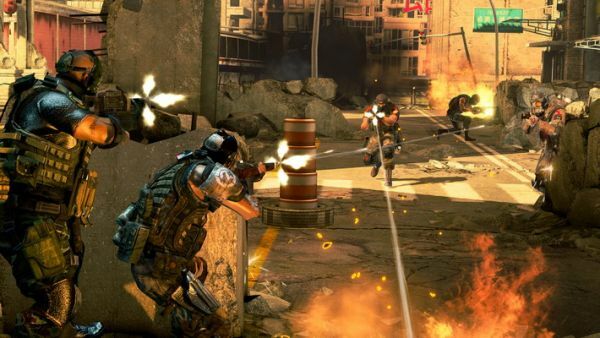 Our friends over at Colony of Gamers had a chance to send in questions drawn from the community regarding the upcoming 2 player co-op Army of Two sequel. Most of the questions revolved around the "What changes" type of scenario, and there's definitely some good answers here. CoG: What changes, if any, are in development for the upgrades system that makes the sequel different/better than the original and will there be more than just gold plating upgrades? Matt Turner, Producer: We’ve really blown out the weapons upgrade system. We’re equating it to lego with guns. Any part of any gun can be combined with any other part (of which there are hundreds) to build your crazy Frankenstein gun that represents you in the shooter space. There are special parts and guns that can only be found in certain ways in the world which allow for awesome variety and uniqueness. As far as we know there is nothing as robust as this out there at the moment- and hopefully it will stay that way until we ship. It's good to hear there's some sort of perk by having your saved game data from the first game available to the sequel. That's something that just seems to be lacking in most games. Page created in 0.2550 seconds.